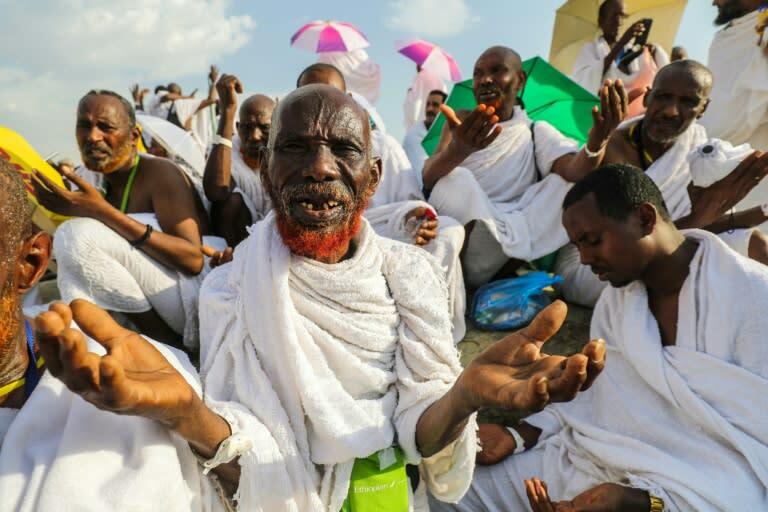 A sea of pilgrims ascended Mount Arafat in Saudi Arabia on Monday to pray and repent, the climax of the annual hajj bringing together more than two million Muslims from around the world. Arms raised, pilgrims repeated "There is no God but Allah" and "Allahu Akbar" (God is greatest). "The feeling is indescribable," said Umm Ahmad, 61, who made the journey from Egypt. Nearly 2.4 million Muslims made the trip to western Saudi Arabia, home to Islam's holiest sites, according to the kingdom's statistics authority. "It feels great," he said. "I have always seen this area, since my childhood, in photographs and on television." 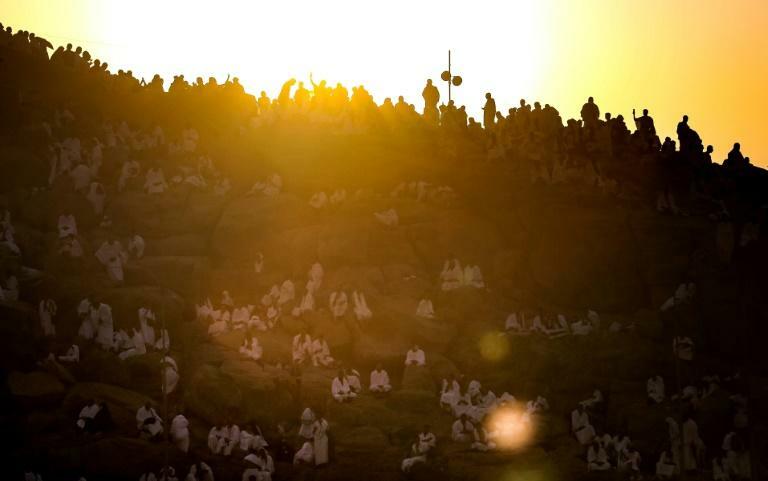 After sunset prayers, pilgrims will make their way down Mount Arafat to Muzdalifah, another holy site where they will sleep under the stars to prepare for the final stage of hajj, a symbolic "stoning of the devil" ritual. Buses could be seen parked around the hill as workers hurriedly picked up empty water bottles near a yellow sign that read "Arafat starts here" in both English and Arabic. "We know that it's a difficult task," said Amna Khan, a 35-year-old American Muslim pilgrim. "That's why we are all here. We're doing this to get closer to Allah, to be absolved." 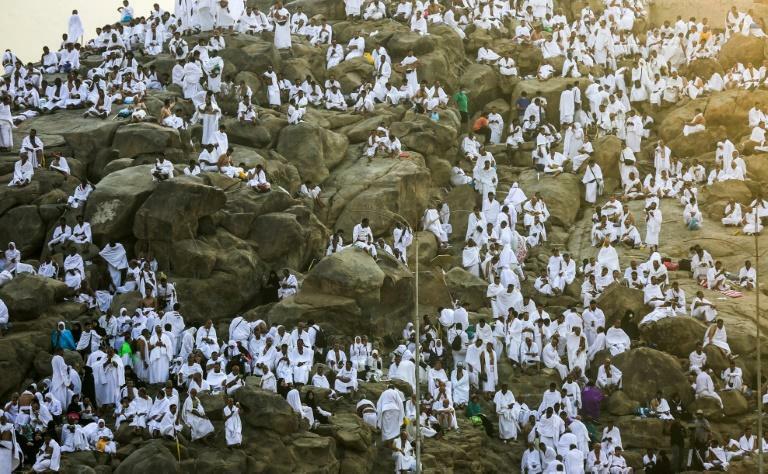 "I knew it would be a little hard to climb Mount Arafat," said Nigerian pilgrim Saidou Boureima. "So I prepared for this challenge by working out. And God willing, we can see it through." Prince Khaled has also said this year's hajj includes 300 pilgrims from Qatar, a neighbouring emirate hit by a major Saudi-led boycott. Saudi Arabia -- the world's largest exporter of oil -- and its allies accuse Qatar of cosying up to both Sunni Islamist extremists and Shiite Iran, Riyadh's main rival.